The Winery Hotel in Solna is the world’s first hotel with an urban winery in the same building. With its own wine production facility onsite at the hotel and their own vineyard Terreno in Tuscany, it offers a completely new way of living, enjoying and meeting in a place where wine is being created. Their collective knowledge and expertise makes this a top-class wine-making company, and the ambition is to produce quality fine wines where the entire production process can be followed by the hotel’s visitors. Guests can then enjoy the wine at the Winemakers Bar, Winery Kitchen, Italian Terrato Deli and the hotel’s rooftop bar (with a pool). A few weeks ago, it was harvest time again, and 12 tonnes of grapes came from Tuscany to Solna, where school classes and all the staff at the hotel became winery workers for a day. As I had just been visiting the Ruhne family at Terreno in Greve in Chianti, it was with pleasure I then could follow the process of making wine on home turf in Solna. I met up with winery worker/marketing manager Sarah Djerf who explains “The grapes come from a farm in Maremma in southern Tuscany. The wine Winery Red consists of 80 percent Sangiovese and 20 percent Cabernet Sauvignon and the Black Bottle Rosé is 90 percent Sangiovese and 10 percent Cabernet Sauvignon. We produce approximately 9-10,000 bottles, of which 2,000 is rosé and the rest is red. This year we’ll make twice as much rosé as last year since it sold out at a furious pace this summer”. Since The Winery doesn’t work with vintages, but instead with blends, this current one is Blend 4. This is the third year they’re making wine from grape to bottle in Solna. There are a lot of extra staff on site and Sarah continues: “All our employees at the hotel will assist during harvesting. It is a great activity for cohesion and fellowship. All of our staff are ‘winery workers”, something even more evident during harvest. This year, three high schools were also in place with students from tourism, hotel and restaurant education”. The rosé wine will be launched in early May next year and will only be served at the hotel. The red wine will be launched with the harvest next year, in September 2019. When the Ruhne family, who are also one of the families behind The Winery Hotel, came to the vineyard Terreno in Chianti Classico region in Tuscany in 1988, their new life began. A lot of work was needed to increase the quality of the wines and to shift to sustainable cultivation, which required both knowledge and solid work. When nature is your employer, one must always be ready. By working ecologically, Terreno makes wines that are both full of flavours and antioxidants, and free from toxins. Something that was obvious when we visited the vineyard during harvest. Sofia Ruhne, youngest of four daughters, is the wine producer in charge at Terreno “What is good for nature is also good for us and therefore we have chosen to work ecologically. How we choose to grow affects both body and soul and leaves a clear impression on nature.” It is the love of the earth and the craft that characterises Terreno’s work in wine fields and wine cellars. The oenologist and agronomist responsible at Terreno is Federico Staderini who has worked at the vineyard since the late 90s. Sofia explains: “It is important that we share a long-term approach and a common vision for the farm, especially when implementing the developments we have made over the last 20 years. 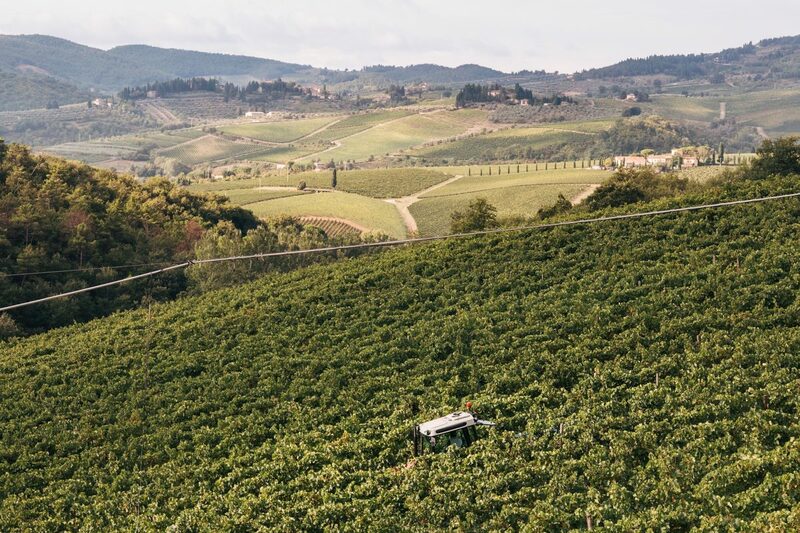 Federico Staderini also follows a number of other farms in Tuscany, including Poggio di Sotto in Montalcino and Castell ‘in Villa Hier in Chianti”. Sofia’s formal role at Terreno is CEO. Her role includes all product development in producing the wines, from idea to final blend: “There is no part of the wine production I do not participate in”. In addition, Sofia handles all sales to importers worldwide, directly to consumers in the farm in Italy and at The Winery Hotel in Sweden. “When you take over the steering wheel at a family farm, it’s a bit more of an elongated process than in other companies. There’s a lot to learn. The first three years was about learning the farm, the wines, the rhythm and the work.” Sofia started by understanding the wines, selling them and working with them, in parallel with learning how the farm works during the different seasons, how the culture works and what is important to respect. “I’m extremely happy today that I got those three years [of apprenticeship], as I learned to show respect. Respect for the farm, traditions, crafts and I had time to form my own opinion on what I think is important. I learned that there is value in the fact that everything has its own time and rhythm”. After those three years, Sofia decided to continue working with Terreno and that was when she earned her formal title as CEO, a position she has had now for almost five years. “After the three apprentice years I have made a lot of changes, mainly in the wines, but we have also renovated and developed the whole wine and agri-tourism side of things, here at Terreno too, but mainly because we’ve opened The Winery Hotel in Solna together with the Söder family. The Söder family has great history and knowledge in the hotel and design business and are the ones behind every brick at the hotel. I’m happy as long as I can continue to immerse myself in the world of wine”. Agriturismo is Italian for a place where you can live and enjoy what the local farm grows. At Terreno there are several rural houses of different sizes for rent. They are fully equipped with kitchens, bathrooms and amenities, allowing the visitor to be completely independent. In the yard there are also a small shop and a restaurant and they arrange guided tours for visitors where you can follow the wine from land to table, out in the wine fields, down the cantina, the cellar and with a tasting as a finishing touch. 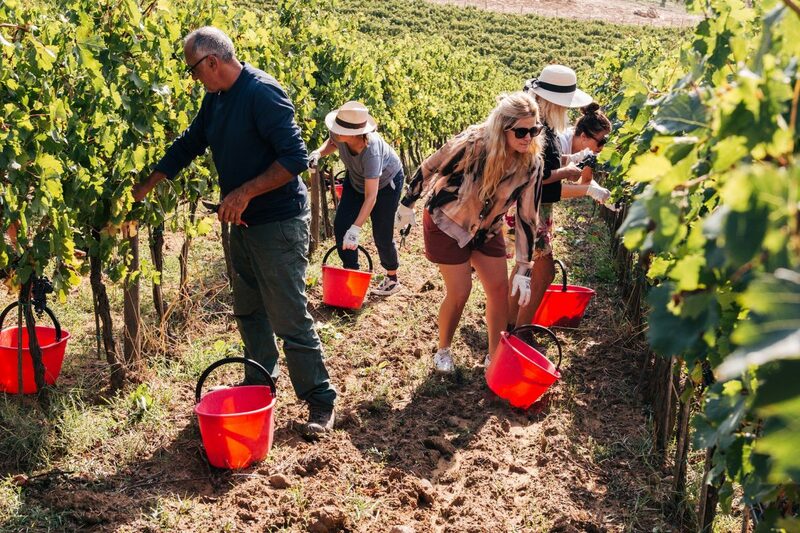 Spending a few days at harvest-time in the centre of one of the world’s most famous wine regions, Chianti Classico, it’s a pleasure getting to taste the region’s wines on site with a vertical of Chianti Classico DOCG wines from the Ruhne family. In the wine cellar, the wines are stacked chronologically from Terreno’s birth until today. A veritable library of everything Terreno from its formation to what it has become. The Chianti Classico district, located in the most central part of Chianti, between Florence and Siena, presents wines and vineyards with the characteristic black rooster label, ‘Gallo Nero’, on the neck of the bottle. The Chianti Classico is the highest rated from a smaller limited area around nine villages including Radda, Gaiole, Castellina and Greve. The wines are made mainly of the Sangiovese grape (sangue di giove, Jupiter’s blood in Italian) that dominates the quality wines. Another commonly occurring grape, mainly for its colour, is Canaiolo Nero. 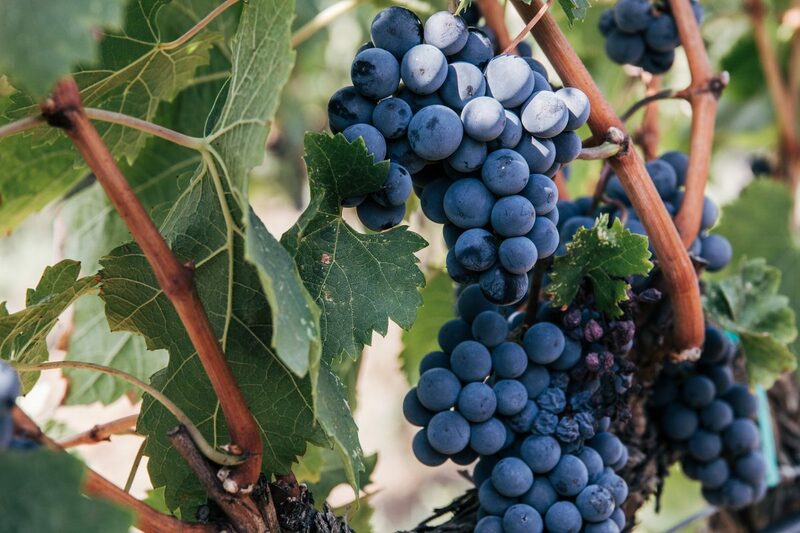 International (read French) grapes such as Merlot, Syrah and Cabernet Sauvignon are also common, but in order to achieve the DOCG status, these grapes must not exceed 20 percent in the blend of the wine. At Terreno, 12 different grape varieties are grown with the emphasis on Sangiovese, which accounts for 75 percent. Otherwise, there are Canaiolo, Merlot, Cabernet Sauvignon, Petit Verdot, Syrah, Colorino, with a few rows of Buonamico, Malvasia, Trebbiano, Petit Manseng and Rousanne. All these grape varieties are currently divided into approximately 23 hectares, of which one and a half are in sleep, ready to be replanted next year. The fields are between 250 and 350 meters asl and have south/south-east locations with mostly galestrous soil, even with some sand. Terreno’s best Sangiovese grapes come from a terraced field called Piane at about 340 metres altitude. Back in Solna, the grapes, after their arrival, are now being processed and vinificated and going through fermentation and rest. Yet again, grapes of the romantic Italian soil will become bottled wine on Swedish suburban ground. 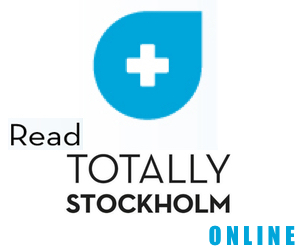 The wines of Terreno and the Winery Red can be found at Systembolaget and through xwine.se.